India’s Hon’ble Vice President and Rajya Sabha Chairman Mr. M. Venkaiah Naidu had promised soon after assuming office that necessary measures would be taken to enable members of the Rajya Sabha to speak in any of the 22 scheduled languages listed in the 8th schedule of the Constitution Of India. “I have always felt that mother tongue is the natural medium to convey our feelings and thoughts without any retention. In a multilingual city such as the Parliament, members must not feel handicapped or inferior to others due to language constraints.” remarked the Vice-President. The promise is set become a reality in the upcoming Monsoon Session of Parliament commencing 18th July 2018. 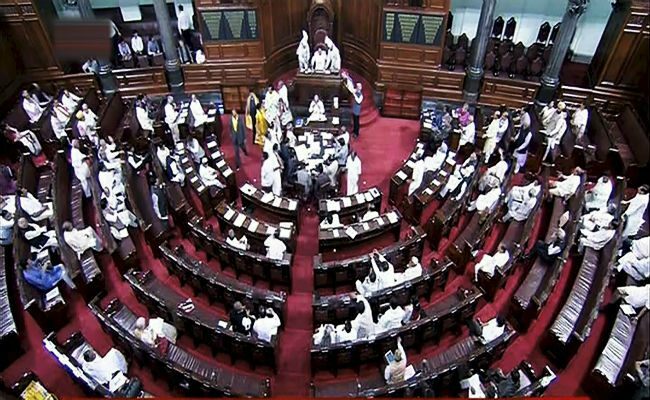 Interpretation facility had already been in place in the Upper House of Parliament for twelve scheduled languages namely Urdu, Hindi, Assamese, Kannada, Tamil, Gujarati, Marathi, Oriya, Malayalam, Punjabi, Bengali and Telugu. Simultaneous interpretation is now being provided for additional five languages that is Dogri, Kashmiri, Konkani, Santhali and Sindhi. The Rajya Sabha Secretariat has identified and suitably trained interpreters in the the said five languages with the help of language departments of universities, missions of respective states in Delhi and various welfare associations. Suitable Arrangements are being made to induct the leftover five scheduled languages that is Bodo, Maithili, Manipuri, Marathi and Nepali by deploying interpreters from the Lok Sabha.